Suva, Fiji, November 15, 2009 -- The Republic of Fiji is on target to launch a One Laptop per Child (OLPC) program in 2010 to coincide with the introduction of a new primary school curriculum in the country. Following meetings in the country's capital Suva last week, OLPC's regional director for Oceania, Mr. Michael Hutak, said Fiji had ambitious plans to distribute 70,000 OLPC XO laptops in its schools commencing with a proposed roll-out to 2000 children in the first phase of the program in 2010. "Fiji's planning is in depth and on target and I am impressed by the broad consultative approach that the government have put in place on OLPC," said Mr Hutak, who met with Fiji's Minister for Education, Mr. Filipe Bole in Suva on Friday. He also met with Fiji's Permanent Secretary of Education, Mr. Filipe Jitoko, and the Deputy Permanent Secretary, Mr. Josef Natau, who is responsible for managing the project. 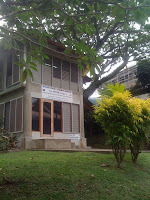 DPS Natau has established a cross-sector steering committee on OLPC, based in the Ministry of Education (MOE) but with inputs from other Ministries responsible for information, finance, e-government and digital and library services, as well as non-government partners such as the School of Education at the University of the South Pacific. Central to planning is a fully scoped monitoring and evaluation framework which officials are developing with reference to the M&E logframe developed by the Solomon Islands Department of Education for its own OLPC pPilot programme. The Fiji MOE is also looking into integrating OLPC into the new distance learning project it is implementing in partnership with Telecom Fiji in Fiji's more remote islands. "This whole-of-government approach, with a strong attention to M&E and supported by wide consultations with communities and other stakeholders is a recipe for ensuring sustainability of OLPC not just in Fiji but across the Pacific," said Mr.Hutak, "Fiji's approach is one which other countries in the region might observe and learn." The meetings came at the conclusion of a two-day OLPC Country Planning Workshop, jointly hosted by OLPC Foundation and the Secretariat of the Pacific Community (SPC) and conducted with the help of the Pacific Regional Initiatives in the Delivery of basic Education, better known as the PRIDE Project, based at USP's Laucala campus in central Suva. 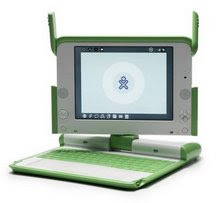 The Government of Fiji announced its intention to implement OLPC in a statement in June this year. Fiji is looking for donors to support the project in its initial start-up phase, and has asked the OLPC Oceania Technical Working Group to assist in technical assistance and resource mobilisation. Fiji is one of at least 15 Pacific island nations to announce an OLPC country program as part of One Laptop per Pacific Child initiative. One Laptop per Child Foundation is a global non-profit initiative headquartered in Cambridge, Mass. and dedicated to realising better quality education in the developing world through the design, manufacture and distribution of rugged, low-cost laptop computers designed specifically for children aged 6-12. Mike, has there been any development on this by the Fiji Govt? I am from Fiji and would like to pursue this matter to it's fruition. Let me know if I can help in any way, shape or form.